Tung oil-based penetrating stain with oil pigment colorants. This excellent wood stain combines the beauty of a hand-rubbed oil finish with the added protection of synthetic resins. 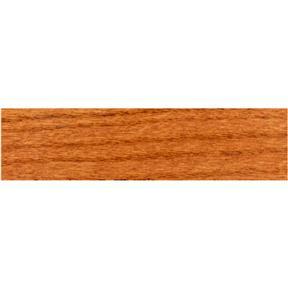 It resists fading and damage from sunlight making it ideal for interior and exterior uses alike. 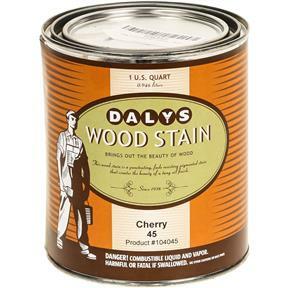 Daly's Wood Stain can be wiped, brushed, or sprayed, and on certain surfaces can be used as a finish itself. 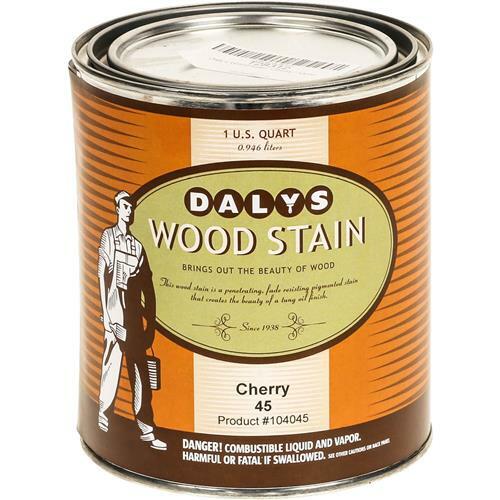 This product is compatible with all of Daly's wood finishing products as well as most varnishes, urethanes, and lacquers-both water and oil-based. Available in an array of attractive, classic wood tones. 1 quart of cherry color stain.